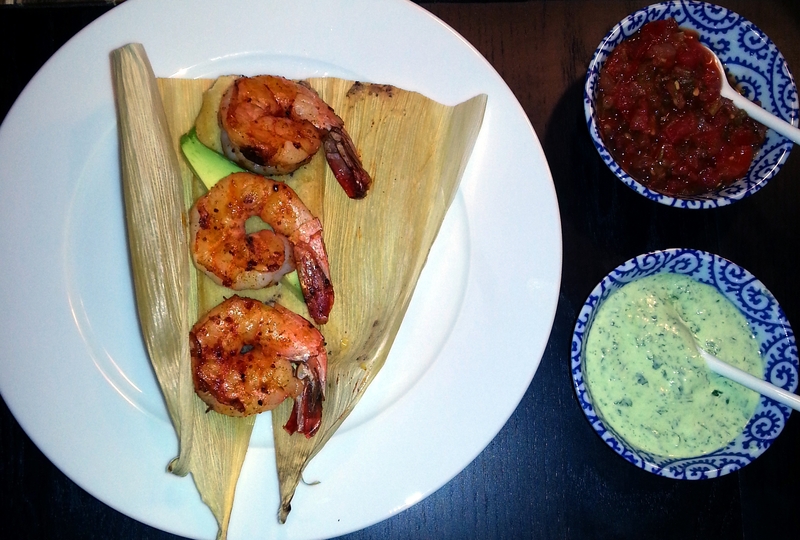 My favorite way to serve tamales: topped with ancho shrimp and served with salsa and cilantro lime crema. 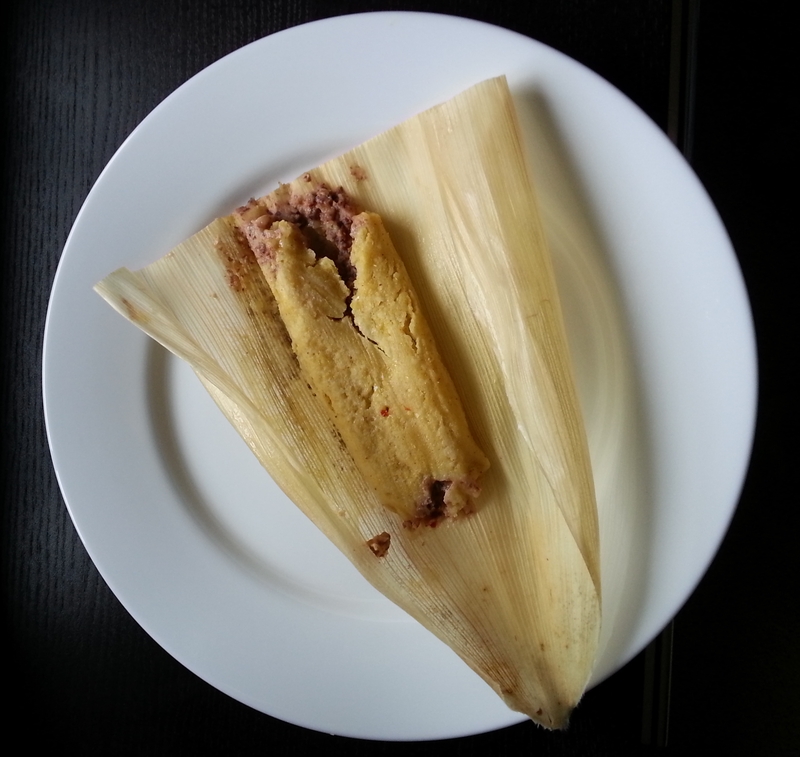 Making homemade tamales really isn't as hard as you might think. 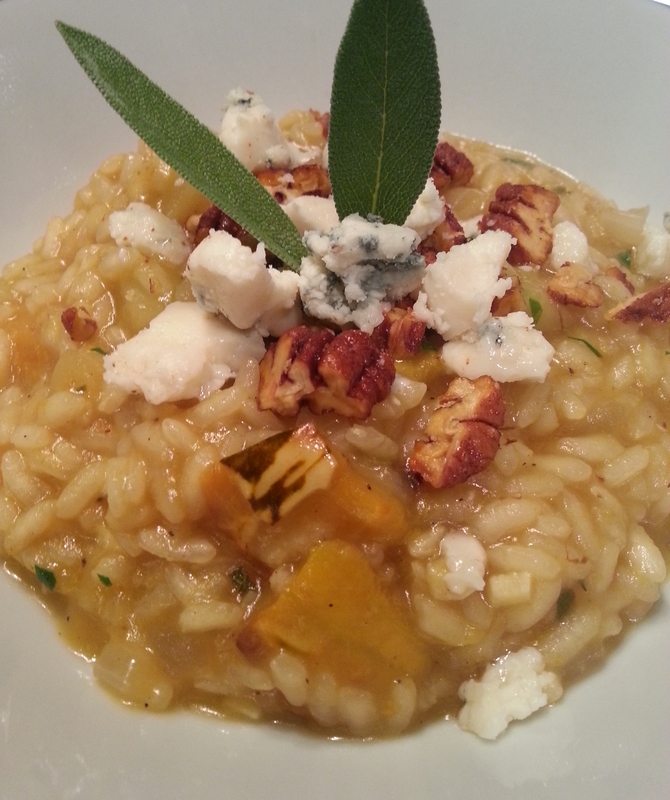 This is a simple, yet delicious recipe that is well worth the effort. Place corn kernels in food processor and puree for 1 minute. Combine masa harina, baking powder, salt and corn puree in a large bowl. Work butter into masa mixture until evenly distributed. Add vegetable broth, a little at a time until a dough is formed. Lay corn husk on work area with small end pointing down and place 1/3 to 1/2 cup of dough on husk. Flatten and spread the dough on the top half of the husk (but don't spread dough all the way to the top of the husk, leave at least 1/2 inch of space at the top. Place 11/2 TBSP of bean dip and ~11/2 TBSP of shredded cheese in center of dough, and use husk to fold sides of dough over the filling. Wrap sides of husk around tamale and fold bottom half of husk up to make a package that is open on one end. Continue making tamales until all dough is used. Place a steamer basket in a large pot and fill the bottom of the pan with water. Place tamales in steamer basket. Depending on the size of your pan you can place them upright, with the open end pointed up, or you can lay them on thier sides, seam side down. Steam the tamles on low heat for 1 hour. You will need to check the pan periodically and add more water as needed. You can serve these tamales simply with salsa and avacado or guacamole, or you can create a heartier meal by adding grilled shrimp and a squeeze of lime, or a poached egg. *Masa harina is a finely ground cornmeal used for making tortillas and tamales. You can find it at most natural grocery stores or Hispanic markets. Regular cornmeal can be used as a substitute.